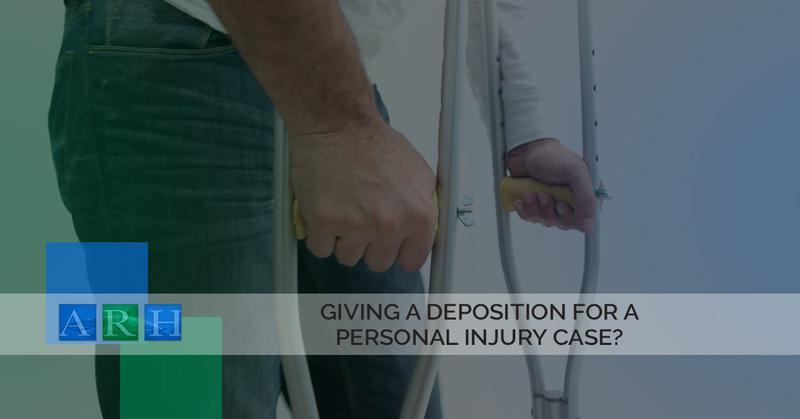 Giving A Deposition For A Personal Injury Case? Being part of a deposition can be an extremely uncomfortable experience. When you have to do so for a personal injury case in Texas, there are probably plenty of questions that come to your mind. This is especially true if you have never had to give a deposition in the past. In order to give you a better idea of what you should expect and what you should do, we have put together a list a some of the best advice we, at Alex Hernandez Trial Law, have given our personal injury clients in the past. You are giving a sworn testimony which means more than anything else, you need to tell the truth. The opposing council will try everything they can to find untruth in your testimony which, should they be able to, will not turn out well for your case. While you may think you know what question is going to be asked of you, it’s important that listen closely and allow the opposing counsel to finish before you begin to answer their inquiries. It’s fairly easy for a good lawyer to attempt to put words in your mouth. While leading questions are an integral part of the deposition process, you do not have to agree with a leading question that contradicts your previous or coming testimony. Attorneys have plenty of tricks up their sleeves. For instance, a lawyer may start by asking you a number of simple questions in a row, all of which will render a simple “yes” answer from you. They then may sneak in a damaging question to try to throw you off and get you to admit to something that you may not have meant to in the first place. If you aren’t entirely sure how you should answer a question, do not guess. There is nothing wrong with saying that you are unsure or you don’t know the answer to any question that is asked of you during your personal injury deposition. While it is okay to say you are unsure about how to answer a question, it is also completely acceptable to ask questions about what is being asked of you if you are confused. Sometimes a deposition will be video or tape recorded. Even in cases like this, do not feel as though you have to rush. Take as much time as you need to answer the questions that are posed to you. Silence is also a very powerful tool, so don’t be afraid to use it. Need more help from a personal defense attorney in Texas? If you have a personal injury case that you are taking to court and you have yet to seek legal aid, it’s time you did so. Contact the attorneys at Alex Hernandez Trial Law today and learn how we can help you to prepare for your deposition and more.